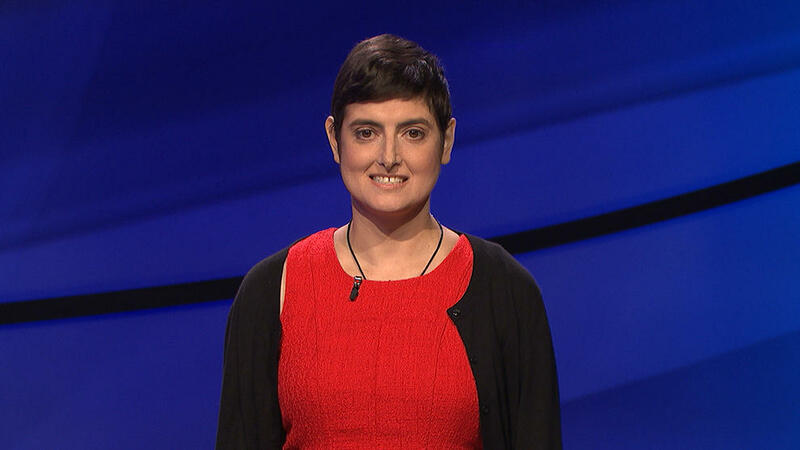 Battling cancer, Cindy Stowell fulfilled her final wish: To go on “Jeopardy!” -- but she one final secret for her friends and family. Stowell, 41, suffered from colon cancer when she filmed the show in August and September, and her run on the show ended Wednesday. She won over $123,000 over six episodes, making her one of the year’s top performers. But Stowell never got to see the episodes air, other than advance copies sent to her while she was in the hospital. She died on Dec. 5th, just over a week before her episodes were broadcast. The victory was even more gut-wrenching when you consider that the drugs she took delayed her reaction time, according to The New York Times. She also needed help getting up and down the stairs to the set. Host Alex Trebek said a tribute to Stowell after Wednesday’s show, saying “appearing on our show was a lifelong ambition” for her. She never told her friends or family about her victory, wanting to keep it a surprise when the episodes aired. She donated her winnings to cancer research.